Grown naturally without chemicals on the Canterbury Plains of New Zealand, these pure food-grade crushed hemp seeds are the by product of making hemp oil. 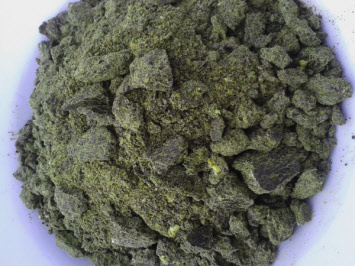 The whole seeds are first crushed to expel the oil and these crushed seed flakes are what remains of the seeds. They have a delicious nutty flavour and can supplement any feed mix. 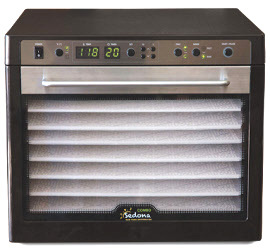 For pets, horses, fish, birds or animals of any kind! New Seasons Crushed Hemp Seeds in Stock Now! 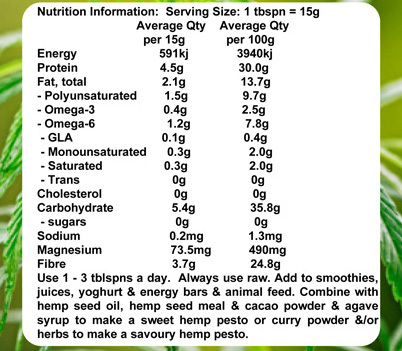 Crushed hemp seeds are a rich source of protein, being over 30% high-quality proteins. It is also a great source of Omega essential fatty acids including Omega-3, -6 and -9, is high in energy and also high in fibre. Crushed hemp seeds contain about 9 - 10% of the oil of the whole seeds. Store in a dark, cool place. Shelf life is at least one year. Once opened, crushed hemp seeds should be kept in in a airtight container and are best consumed within 3 months. Under NZFSA regulations, hemp seed flakes are only able to be sold as animal feed though it is legal for humans to consume. 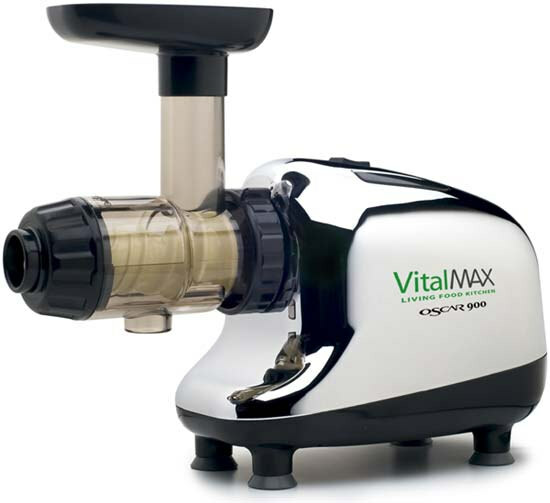 A few steps ahead of any other single gear juice extractor on the market, the ALL NEW Oscar Vital Max 900 features a newly patented three-step auger crushing system and silicon seal around the juicing cone which provides the maximum amount of pulp-free juice. 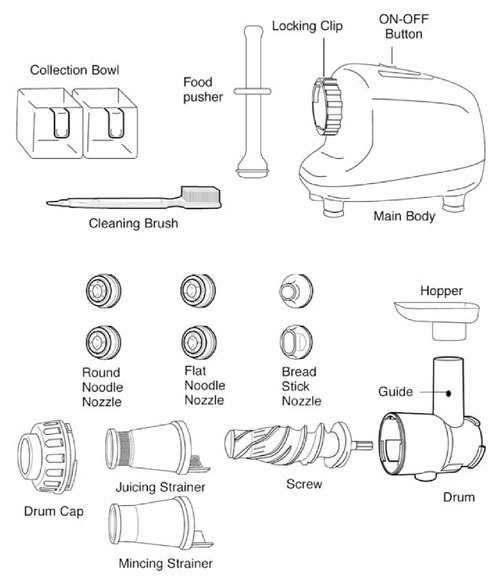 The Oscar comes complete with everything you need to make nut butters, frozen fruit ice cream, baby foods, pasta, and much more. This cold pressed mortar and pestle action keeps the vital nutrients alive and with the Oscar, they stay alive for up to 48 hours. 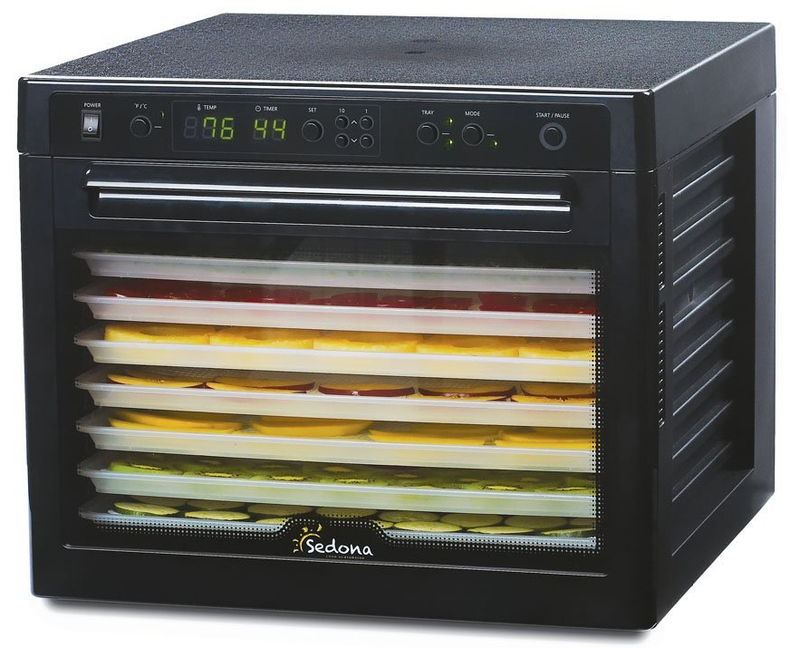 Low noise, easy cleaning and continuous juicing makes for a whole new juicing experience and you’ll notice the difference in the taste of living juice. Living Juice from the Oscar retains natural living enzymes and extracts double the vitamins and minerals compared to juice from a centrifugal juicer. * 20%\more juice than any other single gear juicer! 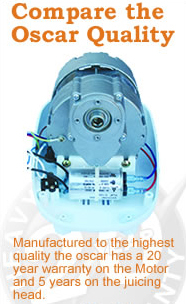 * NEW combined Motor/Gearbox with 20 year warranty! 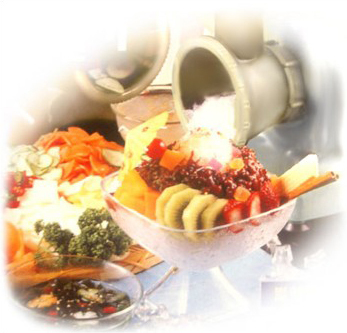 The Oscar includes the parts required to make nut butters, frozen fruit ice-cream, baby foods, pasta, gourmet dips & tapenades and much more. 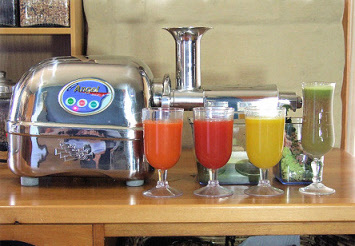 With the Oscar, the pulp is expelled from the front of the juicer, creating a continuous juicing action. 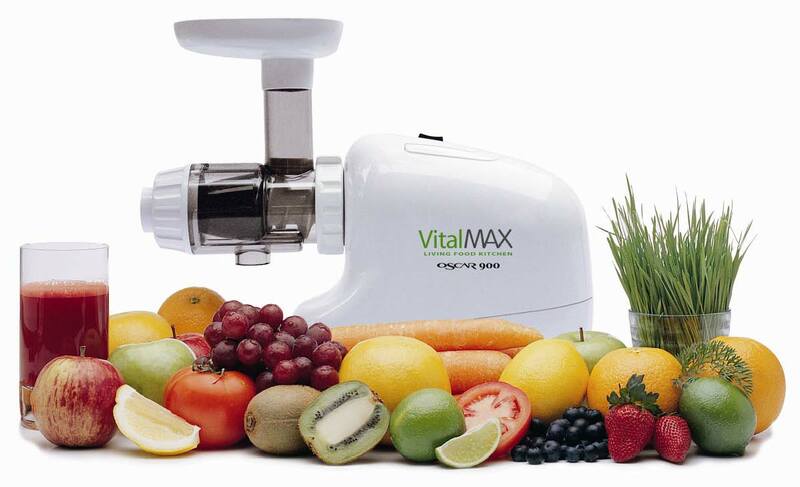 The OSCAR Vital Max efficiently juices soft and hard fruits, even citrus fruits – juice limes, skin & all! The OSCAR VitalMax extracts the maximum juice from celery, carrots, peppers, radishes, cabbage, kale, in fact all vegetables including leafy greens such as parsley & spinach, without destroying the vital enzymes! The OSCAR VitalMax chops and minces garlic, scallions, red pepper, ginger, radish and many other foods, including herbs and seasonings. Organic baby foods or soft foods for palliative are quick and easy to prepare with the blank screen provided. 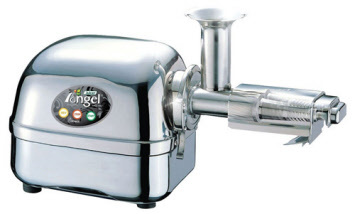 The Oscar can make pasta simply by replacing the juicing screen with the mincing screen, which is supplied with the Oscar juicer. The pasta dough passes through, bypassing the juice outlet and is pushed out through one of the 6 pasta nozzles supplied with the Oscar juicer. 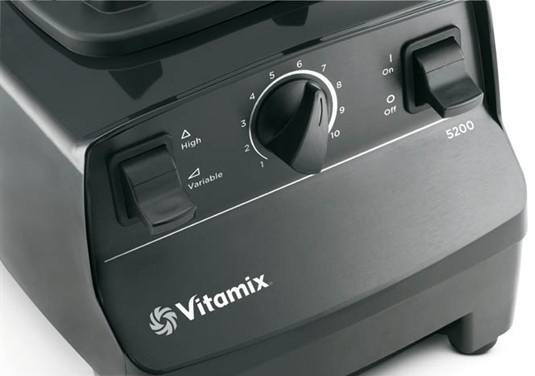 OSCAR VitalMaxcan be used to make nut butter, bread sticks, cookies and pasta from steamed rice or kneaded dough and ice creams and desserts from frozen fruit. 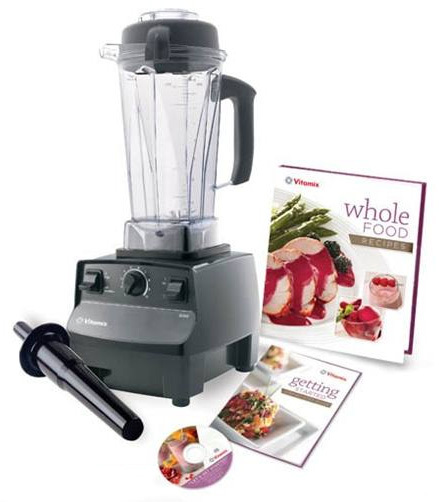 SAVE $10 on this attachment when you buy it with the juicer! 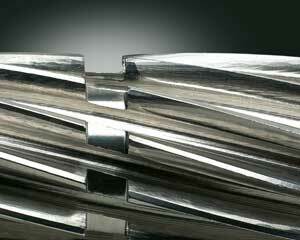 The Oscar Vital Max 900 is built to superior safety standards. Since the first Oscar was released over a decade ago, the Oscar juicer has continually been improved, both inside and out. The Oscar Vital Max 900 Juicer is a leader in the field of cold press juicers which utilize the single gear extraction process. 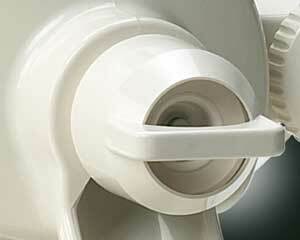 The Oscar Vital Max 900 is energy efficient and built to last a lifetime. The cost of a juicer is nothing compared to the cost of the produce you put through it over the life of the machine. The superior juicing ability and efficiency of the Oscar Vital Max 900 will pay for itself in the early months of operation. 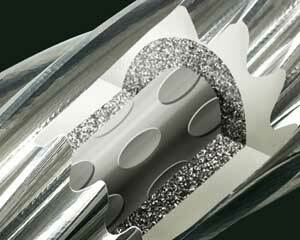 Juicing Screen has silicone seal for increased juicing performance - less juice can escape with the pulp Old style juicing screen based on the first model Oscar released over a decade ago, more juice escapes with the pulp. Sieve holes are larger, producing a pulpier juice. 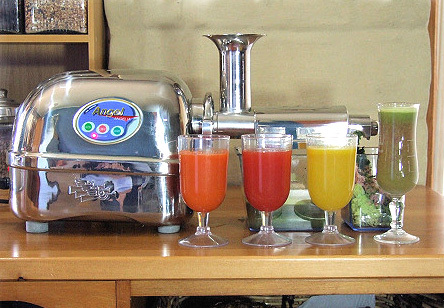 Invented in Korea by Mr Kim, the Oscar juicer was the original single gear juicer. Compact, easy to clean, very efficient and creating a fibre free juice, the Oscar was a significant evolution from the expensive, large and messy processors available. When introduced some 10 years ago to Australia by Vitality 4 Life, the Oscar juicer represented a huge leap forward in making an enzyme rich living juice accessible to more people. 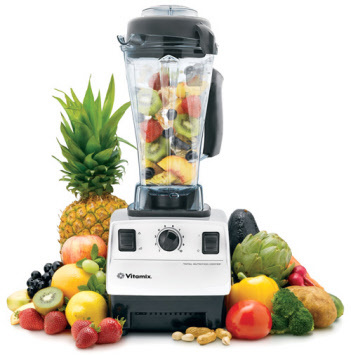 The only way Oscar and Vitality 4 Life could combat these events was to do what they do best and build a better juicer. 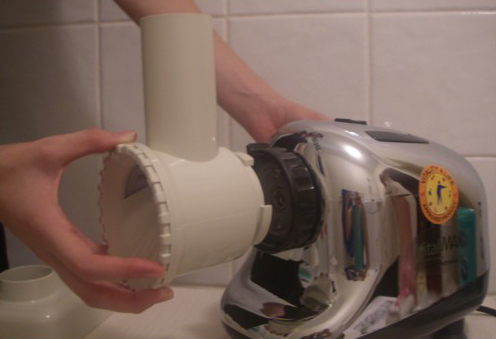 The result is the Oscar Vital Max 900 Juicer. 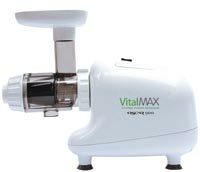 After having purchased a cheaper single gear juicer, and watching as I threw away endless amounts of wet pulp with little juice in return, I purchased the Oscar Vital Max 900. I was amazed with how dry the pulp was and how much more juice I had squeezed from the produce. I can honestly say you get what you pay for! I love my Oscar and couldn’t imagine going back. I have recently purchased Oscar 900. Very pleased but little concerned re BPA. and Phthalates in plastics. Your site claims that no parts contain these but the ‘feel’ is of polycarbonate, BPA’s being the building block material. Which plastic is used? The plastic used is food grade polycarbonate. There is more than one type of polycarbonate out there and a common misconception is that all polycarbonate contains BPA. The Oscar parts contain no BPA or toxic chemicals of any kind. 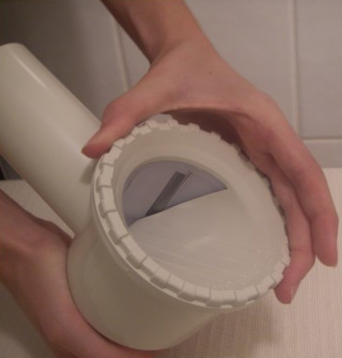 * Low Speed stonemill-like auger made of USA FDA approved polycarbonate and melamine. * Low Rotation Speed of 80 RPMs. 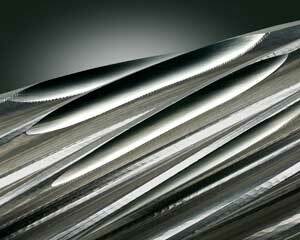 Powerful motor chews the plant fibres and penetrates membrane to extract nutrients, minerals and enzymes. 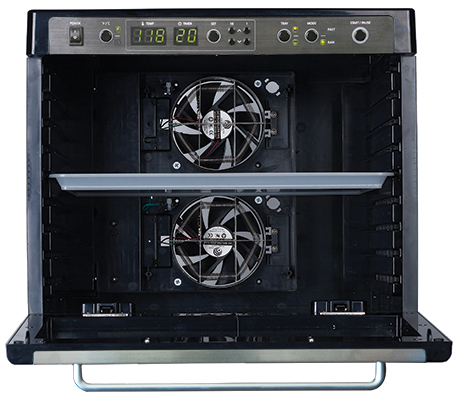 * User Friendly easy to assemble, operate, clean and reassemble. Can be done in minutes. * Full 20 year guarantee on the motor and gearbox, 5 year parts and labour. 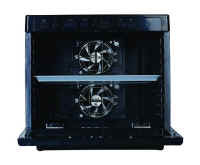 * Very quiet ¼ HP motor, 240 volts 50Hz. * Automatic heat overload switch. 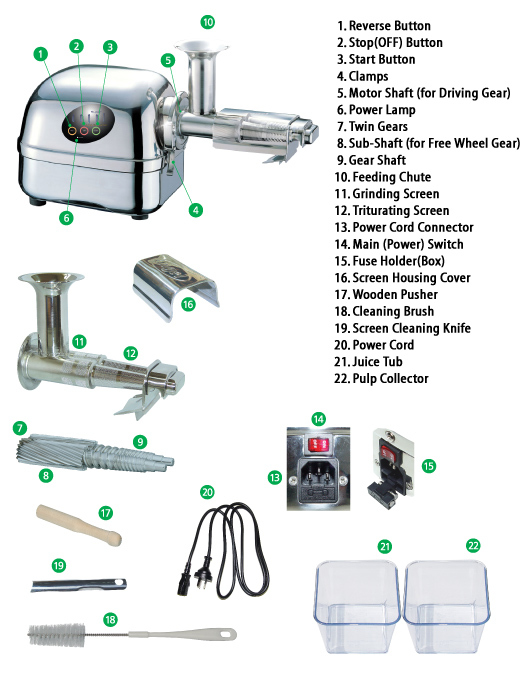 SAVE $10 on the ice crusher/multi slicer attachment when you buy it with the juicer! The attachment simply clips onto the Oscar Vital Max 900, replacing the original front end, so there's no need to change any locking clips. 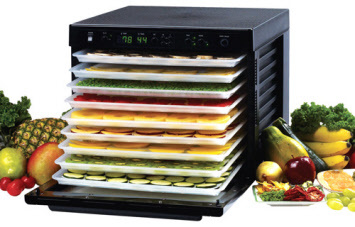 The Oscar Vital Max Ice Shaver/Multi Slicer Attachment is a must have! The Chemical Maze books are now being made available around the globe, after a highly successful initial launch in Australia in April 2001. With sales of over 100,000 copies, Bill Statham's The Chemical Maze has become a bestseller in its genre. Author, Bill Statham, says "The Chemical Maze has been produced for those people committed to living a healthy life". Our mission is to assist people from all walks of life to become more aware of the potential health effects of food additives and ingredients in cosmetics and personal care products. This is no easy task, but many hundreds of hours of research have been rewarded with feedback from consumers showing that The Chemical Maze is a publication whose time has well and truly come. 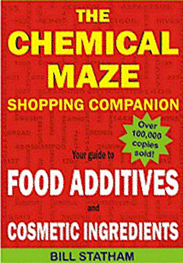 THE CHEMICAL MAZE SHOPPING COMPANION (Your Guide to Food Additives and Cosmetic Ingredients) continues to be the book of choice when it comes to providing consumers with easily understood information on the potential health effects of food additives and ingredients in cosmetics and personal care products.